The family and I are leaving in a few hours to visit with friends over New Year’s Eve and Day, but I still have a few Christmas goodies to share with you – so I guess I’ll have to cram them all into one final post. 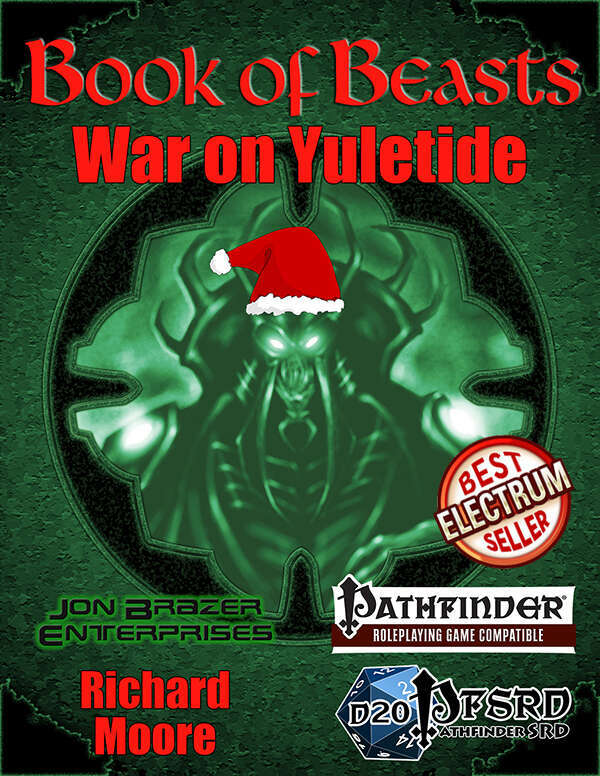 First up is Book of Beasts: War on Yuletide from Jon Brazer Enterprises. This is a short bestiary of very silly Pathfinder compatible holiday themed monsters. You get the Aberrant Fruitcake, Clockwork Nutcracker, Gingerbread Golem, Eggnog Pudding, Dreidel Swarm, and four others in this collection. As silly as they are, each entry is given a bit of background info that is well written, and will make it a bit easier for you to find a place for these creatures in your campaign. Just be sure to expect some eye-rolling from your players once they figure out what they’re fighting next. Get your copy at RPGNow. Next is another freebie from Spectrum Games – this time in the superhero vein. Christmas Comes But Once A Year is a mini-supplement for the Capes, Cowls and Villains Foul RPG, detailing Holly Daye, a supervillain who wants to take Christmas into her own hands. Driven by her superpower – a radar ability that can tell her who is naughty and who is nice – Holly has been known to steal presents and replace them with coal, destroy Christmas displays, and has a distinct hatred for anyone trying to impersonate the One True Santa! This mini-supplement is mostly character lore, so it would be very easy to convert Holly to any superhero RPG that you prefer. Get your free copy at RPGNow. Finally, there’s Winter’s Majesty, a collection of evocative background music for your winter-themed RPGs. The music here is clear and shining, hopeful and spooky, all at once. Most of the material is original, with two exceptions – “Scarborough Fair” and “We Three Kings,” and the majority of the music is instrumental, making it a good fit for non-obtrusive background music. (The DTRPG copy protection appears after a delay at the end of every track, so you may want to have a hand on the “Next” button to prevent it from breaking the mood). 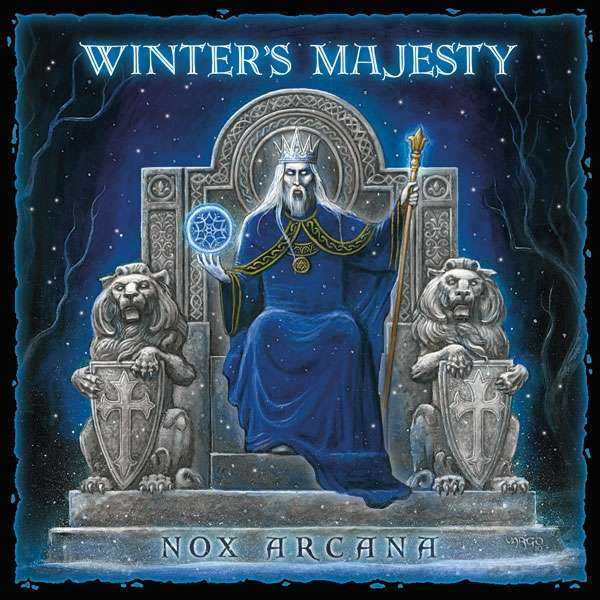 Get your copy of Winter’s Majesty at RPGNow. And that does it for this year’s 1d12 Days of Christmas! I hope everyone has been enjoying the holiday season, and I wish us all a prosperous and adventure-filled 2013!